Since the announcement of Adobe FormsCentral’s retirement, we have worked closely with over 500 FormsCentral users to move them to JotForm. 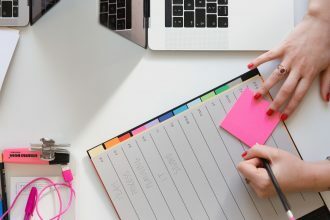 We took this job very seriously: We have visually reviewed every single migrated form, sought feedback from our new users and improved our migration tool to the point of near perfection. 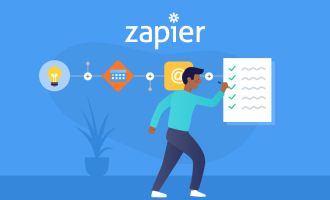 Today, we are excited to announce a new migration tool that can import all of your FormsCentral forms and form responses in a single step. 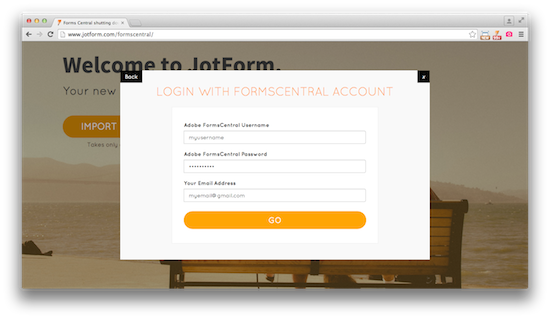 The path to migrating from FormsCentral to JotForm just got a whole lot easier, and better. What happens when I click on “GO”? 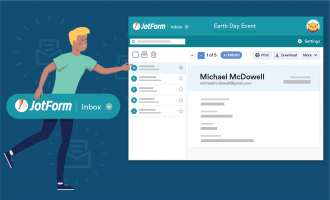 Our migration tool will log into your FormsCentral account, get a list of your forms, import them to JotForm and then import your form response data. It will handle everything. Just sit back and relax. What does the migration cover? Our engineers have been working on the migration tool for the last two weeks and are happy to be able to report to you all that hard work pays off! I am very excited! Can I help in any way? You can help us reach out to other FormsCentral users by posting your results on The FormsCentral Forums. We’re excited to be the first and only FormsCentral competitor that has such a seamless migration process. Considering the many technical challenges in setting this up, it may turn out that we will be the only Form Builder with such a complete solution. 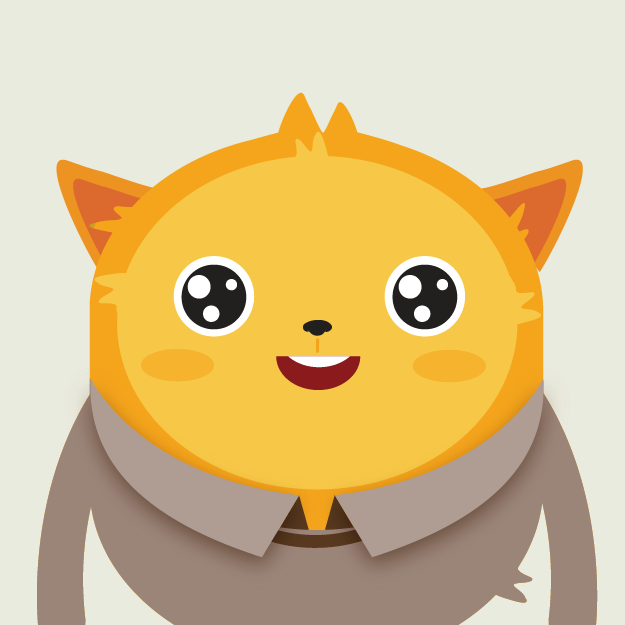 We welcome our new users! Thx for the recommendation u guys. I just contacted them write my essay uk and am goin 2 have them do my papers 4 me. thx again. Trying it all out . I tried the migration and most of the questions on the last part of my form are missing. Is there a way to try again, or are my forms to big to be migrated ? Is there a way to tell where I am in the queue for importing forms? Does it only import open forms from Adobe? We would like for all the history to import including closed forms since we often need access to prior submissions for closed forms.  Sorry, I can't find this import option for Formcentral. It looks like all our forms have been imported over from Form Central but not the responses. I chose the Import Both Forms and Responses option. Please advise. I use migration tool for formscentral forms and data but only forms were imported. I had well clicked on import both forms and responses. Do the responses from these migrated forms count toward my monthly allotment for responses? How long does it take? I started process a couple of days ago and never received notice and forms have not been moved. They are open in Adobe Forms Central. The import process is not completed even your system says it. I still have 3 forms in Formscentral that haven't been imported to Jotform and I need it more than the only one who has been imported already. Can you help me? 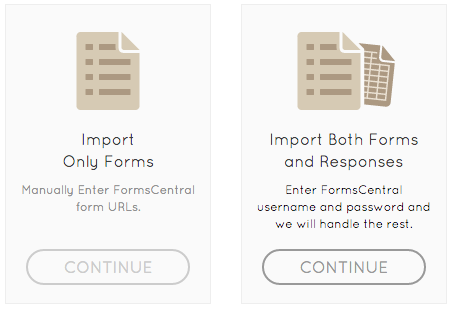 This tool helped me to flawlessly import my Adobe Forms Central forms over to JotForm. It was effortless. This was a god send! nothing, nada, zilch happens other than you are in a queue that never lets you know how close to the end you are! The problem continues. When I tried to repeat the import process: the message 'Migration request is waiting in the queue' is show. A lot of users having the same problem. I think that if the import process sends e-mail when the process starts or end with errors or successful import the forms, everyone will be happy. Regards. I was able to beautifully transfer all of my forms over from FormsCentral (thank you!!!) but for some reason none of the responses made it...and the titles of my forms were incorrect (no huge issue, I just renamed them). 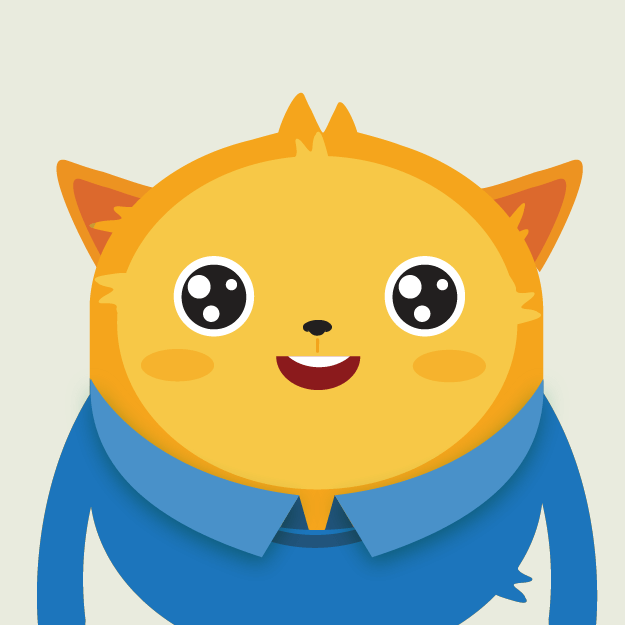 What is the easiest way to upload my existing responses into the JotForm environment? I could hug you guys. Thank you so much for doing this. I tried for two days in a row now. Keeps saying migration request is waiting in the queue. How long should i wait? I requested forms to be imported on 2/4/15 and have not seen that they have migrated yet. Is there a way to see if they are being processed or if I need to use the import tool again? I tried to import the forms and responses. I learned from another post why it was perhaps taking so long, as several of my forms were closed. I have opened them all and tried again but now it tells me the new request is in the queue. Just curious how to cancel the other request so I can import the open forms? I have to admit that you are very effective! Succeed in offering such a tool in so little time, it's a sign that you are attempting the impossible to make your satisfied customers. Although I was very pleased with the operation of FormsCentral (simple, intuitive and enjoyable report), I hope that I will find satisfaction with you, a dynamic team! This is very useful, thank you. However, I'm encountering some problems with the form size. 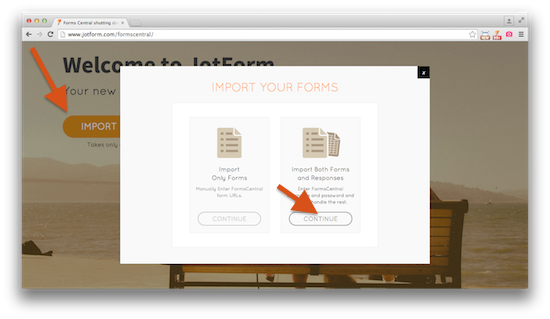 Even when I try to change the form width on jotform to fit on our webpage, it wouldn't apply the changes. What do you suggest I do? Thanks. Thank you!!!! This feature is saving me days of work (re-creating all of my Adobe FC forms). It definitively helps make the transition smoother. I all worked great for me. How long does the process take? I made the request hours ago and am awaiting transfer. Thank you. The import of the forms worked beautifully and flawlessly-at the time the response data importing was not an option. Very impressive given the speed at which it was accomplished. The major drawback is scales, matrices & ratings cannot be associated with numerical values-calculations, mathematical calculations and useful reports/graphs cannot be generated. I am glad to see you are addressing the issue of the FormsCentral retiring! I am looking forward to a smooth transition and certainly will report back! !